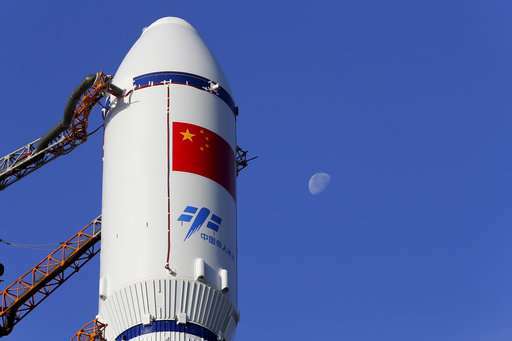 China on Thursday launched its first unmanned cargo spacecraft on a mission to dock with the country's space station, marking further progress in the ambitious Chinese space program. 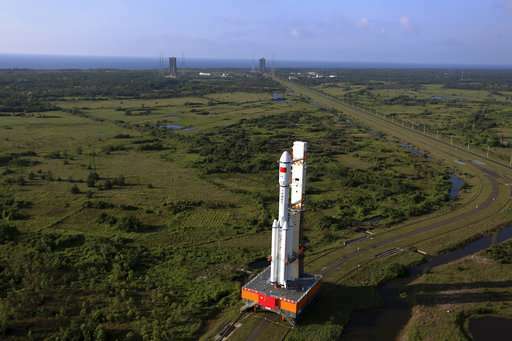 The Tianzhou 1 blasted off at 7:41 p.m. (1141 GMT) atop a latest-generation Long March 7 rocket from China's newest spacecraft launch site, Wenchang, on the island province of Hainan. Minutes later, as the spacecraft cleared the atmosphere, the mission was declared a success by administrators at ground control on the outskirts of Beijing. It is programmed to conduct scientific experiments after reaching the now-crewless Tiangong 2, China's second space station. A pair of Chinese astronauts spent 30 days on board the station last year. China launched the Tiangong 2 precursor facility in September and the station's 20-ton core module will be launched next year. The completed 60-ton station is set to come into full service in 2022 and operate for at least a decade. Communications with the earlier, disused Tiangong 1 experimental station were cut last year and it is expected to burn up on entering the atmosphere. Chinese officials are now looking to internationalize their own program by offering to help finance other countries' missions to Tiangong 2. Since China conducted its first crewed space mission in 2003, it has staged a spacewalk and landed its Jade Rabbit rover on the moon. A mission to land another rover on Mars and bring back samples is set to launch in 2020, while China also plans to become the first country to soft-land a probe on the far side of the moon. The two-stage, medium lift Long March 7 is expected to form the backbone of China's rocket fleet, and burns a fuel combination that is safer and more environmentally friendly. It is tasked with the launch of the Shenzhou capsules that have carried out six crewed missions and, along with the heavy lift Long March 5, is key to the assembly of the Tiangong 2.